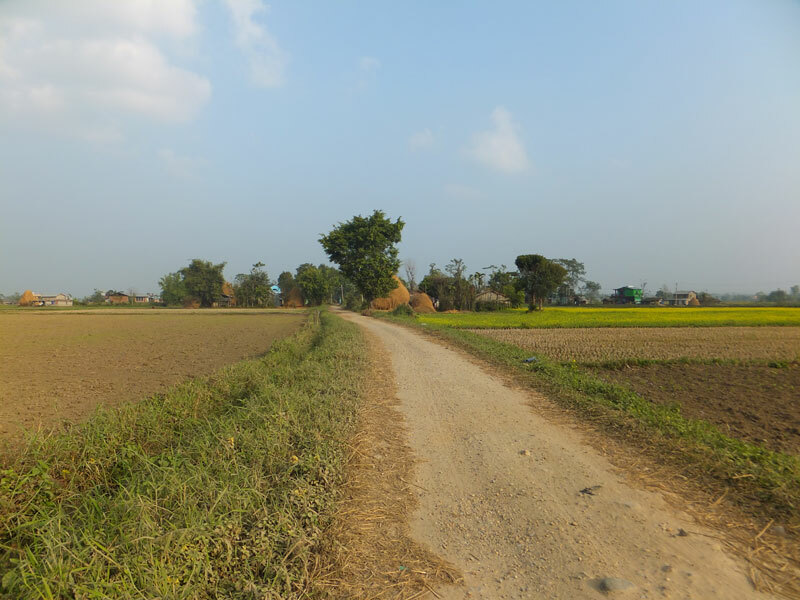 This week, I packed up and headed south towards the Chitwan district in the south of Nepal towards the Indian border. I wanted to come down to Chitwan and spend time in the rural health clinics which provide most of the primary care to the rural population. It was a long “five hour bus ride” (more like 8!) but with some great views of the mountains as we left Kathmandu and headed down into the plants/jungle of the Chitwan district. It’s never a great sign when you are stuck in some traffic and your bus driver comes into the back, opens a compartment and takes out his book!! However, what was great was the change in temperature. It definitely increased as we headed south! I was picked up in Chitwan by Sanjev, a fantastic young Nepali guy from a small village who has been hosting volunteers for over 5 years. He helped me get on the bus to the village (as he was staying in the city) and it was suggested that it is a far better trip when you ride on the roof as its cooler and less crowded. Apparently it was our lucky day as we had a tyre and a sack of rice to sit on up there! So the village was about an hour and a half bus ride and a half an hour walk away from the main city and the nearest hospital. I was staying in a little village with a population of about 200 people, most of whom are related in some way or another! Also staying in the village were 6 other volunteers most of whom were based there for 1 year teaching in the local primary schools. 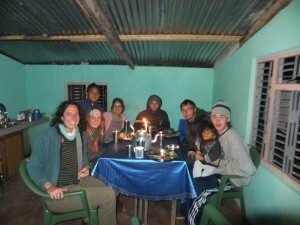 Our host mother spoke very little English so my poor Nepali and charades skills were put to the test. It is amazing how much you can manage to communicate with body language and gestures! Life in the village this week was great fun. The local kids and the volunteer teachers are addicted to table tennis and will spend most of their spare time down at the local table tennis table (a concrete slab outside the local primary school). This week we also decided to introduce “night TT” which involved head-torches and someone holding a desk lamp above their head as a spotlight. It was brilliant to see the excitement on the children’s faces especially as many of them had never used a head-torch before! Another excitement was that one of the locals caught a large turtle in the river and cooked over a kg of turtle meat and invited us all around to their little hut for a feast! I also enjoyed just sitting outside the house and watching local life just happen. 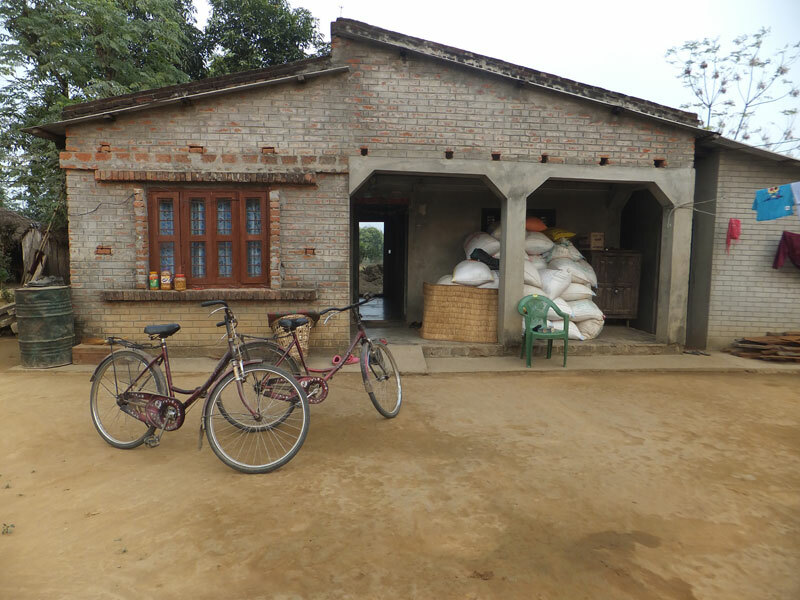 From the farming of goats, large hay stacks in the field, the bags of rice piled up outside each house after the harvest and children coming and going to school. Anyway, I was placed in the health clinic that serviced my village and many others in the surrounding area. It opened at 10am and closed at around 4pm. It was a 20 minute bike ride from my village but could take up to an hour to walk in the heat. I would attempt to ride my bike each day but often would end up stuck/walking as the chain would bounce off on the bumpy dirt roads. Luckily the locals would feel sorry for me and rush to help the stranded “doctor”! I enjoyed the feeling of freedom and open spaces biking through the fields each day. At times felt like I was in a scene from The Sound of Music with all the fields of yellow flowers surrounding me! Biking to the clinic each day also gave me an appreciation how far people could travel (and how difficult and exhausting it could be even for someone my age and in good health) just to get to the rural health clinics. My clinic was lucky and was staffed by one junior doctor and one nurse. Other clinics may only be staffed by nurses or a ‘health worker’. It ran as a drop-in centre and we would just see patients when they turned up. 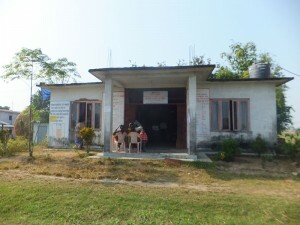 These clinics are funded by the Nepali Government and therefore provide free primary health care. 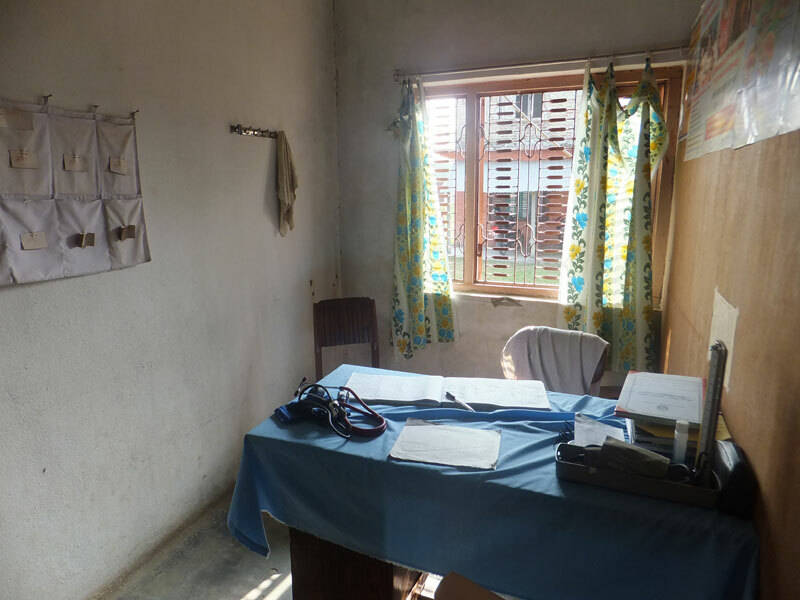 While great not to have some of the financial issues patients had at Scheer, the clinic was very basic and very run down and availability of equipment was variable. I watched the doctor do an otoscopy with a pen-torch and diagnose Otitis Media as we had no working otoscope!! Also as this is a government funded clinic, they also provide the medication. 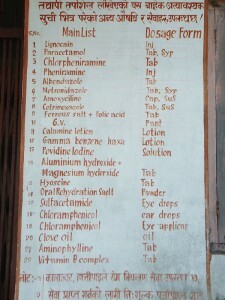 However, the medication is limited to a choice of 25 items which includes items such a lignocaine, vitamin B complex, clove oil and calamine lotion (see photo). This means that despite good clinical care and decision making, often the “best treatment” is not available and you have to make do with what is on offer. But in saying this, if you wanted to prescribe something else, we could write a prescription and send the patient into the city! So once again, I have been learning very quickly how to use the resources available and ration what we have. It makes you appreciate how lucky we are in New Zealand to have the access to healthcare and pharmaceuticals that we do. Medically we did many blood pressure reviews, saw a few febrile children and treated many ear infections. The other real problem I noticed was that the clinic was on the bank of a pond which was home to a very large crocodile (>2m – believe me I saw it!) which of course was a bit of a deterrent to our patients! On my second day at the clinic, a government sponsored surgical team arrived to run a family planning clinic. They converted the only consulting room into a “minor operation” room and patients from around the district had been booked for tubal ligation and vasectomies. 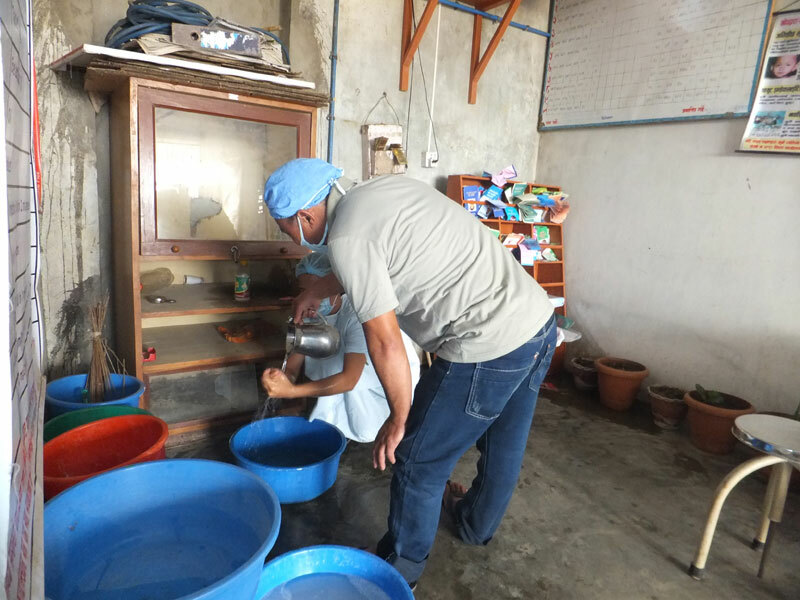 The clinic is not really set up for surgical procedures and operations were being performed on wooden tables in our converted clinic room and our scrub room/buckets you can see in the photo. There has been a big push in Nepal about the need for family planning and contraception and there are incentives offered by programs like this, for those who are voluntarily sterilised after completing their families. The surgeon was kind enough to allow me observe some of the procedures. The first thing that was obvious was that a sterile field was very hard to maintain especially when using an office as a theatre! The second thing was that while the vasectomies were performed under local anaesthetic (much like in New Zealand) so were the fallopian tubal ligation in the women! This was quite frankly very tough to watch. The women were blindfolded and their hands placed behind their head. And while local anaesthetic was used, it obviously wasn’t enough. Some of these women were screaming in pain and of course when this happens you tense your abdominal muscles making the procedure harder to complete. 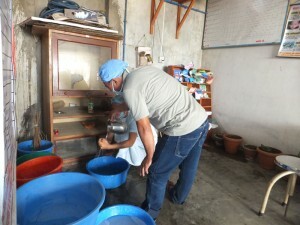 Unfortunately instead of comforting these women, the surgical team lose patience with the patient. It was more than I could watch. And so instead of watching the procedures, I was holding their hands and trying to comfort them despite speaking very little Nepali! Eventually it was too much for me and I had to leave after a few procedures. 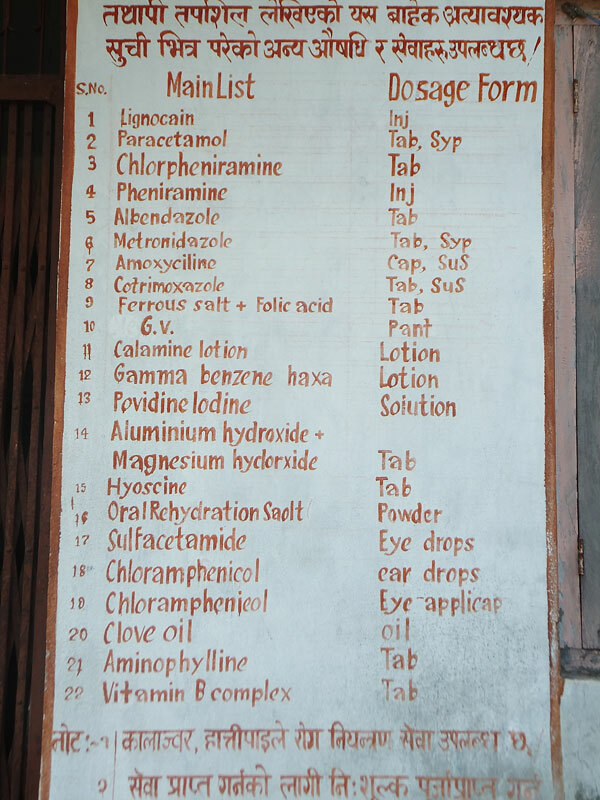 A rough introduction to some third world medicine! To top it all off, our recovery room for these women was a blanket on the ground outside (on the bank of the crocodile pond!). It was a really tough day watching all this. While I was glad that family planning was occurring and was offered, the way in which it is performed is not ideal to say the least! Overall I really enjoyed this week in the village. 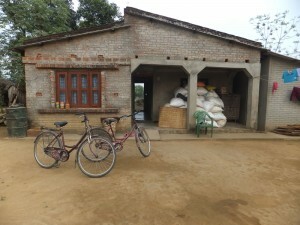 It was great to see life in the rural areas and how happy (and mostly healthy) the people were. 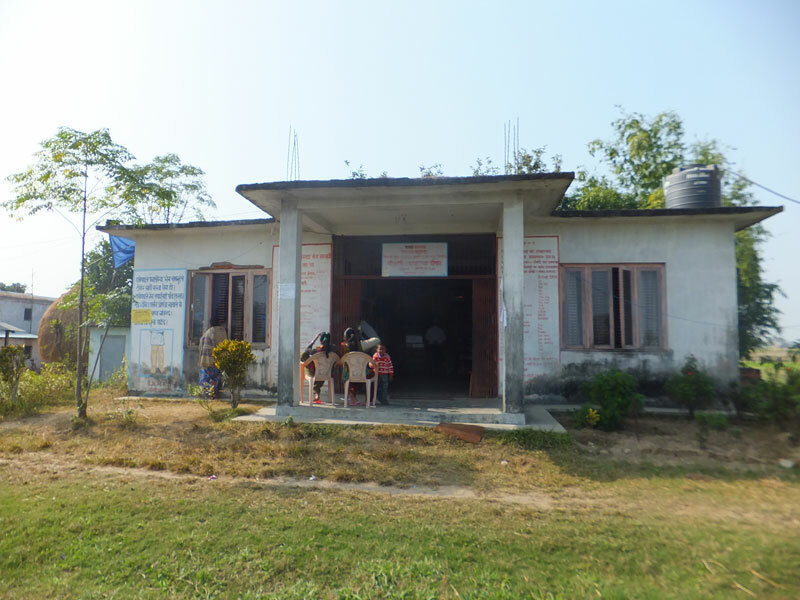 It was a fantastic experience to see the health centres in action and how primary health care was delivered to Nepal’s rural and somewhat vulnerable populations. 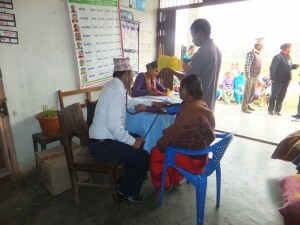 Once again it highlighted that access to healthcare can be a huge problem in rural areas. Travel distances and transport availability can be huge limiting factors and it is important to provide quality healthcare as close to home as possible. Once again I was able to donate some equipment such as thermometers, batteries, gloves, bandages, scissors, and basic first aid kits to the health centre with the help of the Pat Farry Trust Scholarship. This equipment was very much appreciated as they need all the help they can get! Now I am off to explore a little bit of Nepal for a couple of days and then it is off to Zambia, Africa! !